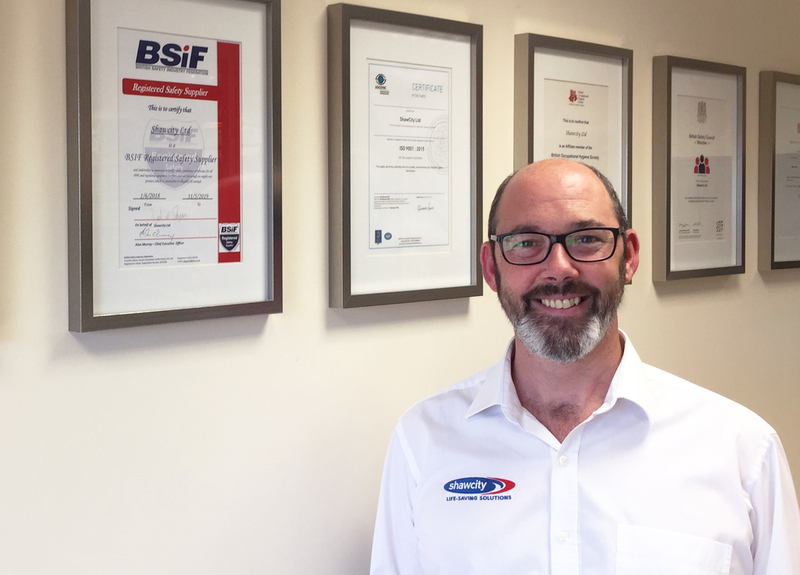 This month we put BSIF member Neil O'Regan in the spotlight to share the importance of monitoring and measuring workplace hazards. How did you get into the health and safety industry? After gaining a physics degree I worked in various science-based industries before joining Ion Science in Cambridge in 2003, where my adventure in health and safety started. A PID manufacturer, Ion Science acquired the long-established, pioneering instrument distributor Shawcity in 2008 and I transferred across to manage this side of the business. This is when my knowledge of instrumentation used within the industry grew exponentially and it quickly became a subject very close to my heart. In my time at Shawcity I have been fortunate to work alongside many experts as well as world-leading manufacturers whose technology is used in the detection of hazards within the Health and Safety industry. Everything! Well, most of the time anyway. Without hesitation, the most enjoyable aspect of my job is working with different customers every day to find the best solutions for their individual circumstances. This is achieved by working with some amazing colleagues who are genuinely passionate about what they do and utilise their expertise to focus on the wide range of challenges our customers face. Having fun at work is also key for me – celebrating achievement and creating a work environment which includes and values everyone in the team. What do you think are the biggest challenges facing the health and safety industry in the UK? It’s an ever-changing picture but one of the biggest challenges is still education. We are continually learning about health hazards in the workplace and the impact on the workforce, both short and long term. The challenge is getting information to the right people in the right time frame, most especially those ‘on the ground’ who are affected directly by potential hazards. Demands on health and safety professionals to stay up-to-date and informed is increasing and often, in challenging circumstances, they don’t know where to look for genuine answers that will fulfil the task they have been given. That’s why independent companies such as Shawcity are so key in the industry because we are trained by manufacturers, are members of leading health and safety organisations and can give reliable advice and guidance on a wide range of monitoring issues. How do you think these challenges can be overcome? Continue with what we are doing and help with the push for improved support from parliament on the education of end users on the risks present each and every day. We are still leading in terms of worldwide safety figures and with organisations like BSIF, BSC, BOHS and IOSH educating and challenging best practice on a daily basis, the momentum and will is there. Everyone in the wider industry can play their small part by getting behind campaigns and initiatives and sharing the crucial information these organisations publish with their own audiences. What sets Shawcity apart from its competitors? We are the UK’s leading independent supplier of instruments to measure and monitor noise, sound, vibration, air quality, dust, gas detection, heat stress and fit testing with most options available to hire or buy. Our autonomy is one of our major advantages as, much like an independent shop or restaurant, we are free to offer an impartial range of products that we believe give maximum benefit to the customer. That’s important for many reasons, for example sometimes that can mean sourcing a simpler solution which is more than adequate and cost-effective, as well as being able to supply the high-end technical equipment. Our technical knowledge across many health and safety applications means we can also support customers on multiple issues simultaneously, some of which may naturally overlap such as noise and vibration. Our aftersales care is second-to-none as we offer service, calibration and repairs in-house as well as free training and free technical support for the lifetime of the instrument or duration of hire, over the phone or on site if required. We provide the very best technology from world-leading manufacturers such as Ion Science, Honeywell, Svantek, TSI, Gas Clip Technologies, HAVi, Sensidyne and OHD and our staff are trained directly by those manufacturers. Finally, if we can’t help you we probably know someone who can and we will always refer you to make sure you get the answers you need. What are your most memorable successes at Shawcity? I’ve just celebrated 10 years at Shawcity and there have been some fantastic moments to celebrate including: Our Ministry of Defence contracts to supply heat stress instruments and PIDs; winning a five-year contract for the supply of gas detection equipment (single gas, four gas, multi-gas, PIDs and benzene) to one of the UK’s leading refineries and then renewing that contact for a further five years; working alongside City Technology as its EMEA channel partner and supplying their gas sensors to original equipment manufacturers. Most importantly, I value our success in terms of the number of long-standing relationships we have with customers, many over 10 years or more, who trust us and return time and again for sales, hires, utilise our service centre and to ask for general advice and guidance. From a team perspective, awards also recognise the dedication and hard work from the whole Shawcity team – winning Oxfordshire Business of the Year and a BSIF Excellence Award for Customer Support reinforces the fact we deliver what we believe in. On a personal note, Shawcity has supported a local charity Special Effect for the last five years, who enable disabled people to access technology, and we have become part of a team that has raised over £700,000 for this fantastic cause to date. What's next in the product pipeline for Shawcity? We are constantly researching and trialling new, game-changing technology and we’re lucky to have manufacturer partners who are always driving innovation. The latest technologies we have exclusively launched in the UK and Ireland include the Quantifit Fit Testing system (using controlled negative pressure) and a new Type 2 sound level meter from Svantek. What's your vision for the future of Shawcity? We will always continue to provide our customers with the most appropriate, unbiased solutions and offer the highest level of support as part of that service. Our goal is to expand the team further as the business grows while maintaining our ongoing search for the best new technology and manufacturers to partner with. We are proud of our position as a leading figure in an industry which works relentlessly to reduce accidents, illness and injury in the workplace. While the Shawcity team have fun at work, we take our position of responsibility very seriously and know that our actions and recommendations can ultimately save someone’s life or prevent life-changing ill health. What do you think the medium-term future holds for the safety industry globally? There is obviously some uncertainty with Brexit looming and we need to achieve a cohesive standards framework, but the medium-term future is really all about advances in technology. What we have available today is game-changing but with the continual development in knowledge and the real desire to create products which further protect against some of the major industry concerns, the future looks bright. What health and safety issues are you most passionate about? I’m passionate about finding the right solution for an application and not just selling a product. My biggest frustration is when we come across a customer who has been deliberately mis-sold a product. It is absolutely criminal when something that has been designed to protect the worker can actually put them at even greater risk if it’s not fit for purpose or is being used incorrectly and it still happens all too frequently. Shawcity offers free training to customers buying new technology to ensure the end users understand how to use the equipment, as well as a ‘try before you buy’ scheme for customers to trial the product in their workplace under real conditions to make sure it’s the right fit. How can we entice more young talent to work in the health and safety sector? Education from a young age using case studies on the potentially life-changing consequences of health hazards at work will help in the perception shift of Health & Safety being a barrier (and discourage the sigh and eye roll at the mention of ‘elf and safety’). Many risks we all now understand, such as noise-induced hearing loss (NIHL), hand-arm vibration (HAV), whole-body vibration (WBV), silicosis, confined spaces and carcinogens such as Benzene and Toluene have all been identified and had prevention measures put in place by those same Health and Safety professionals.